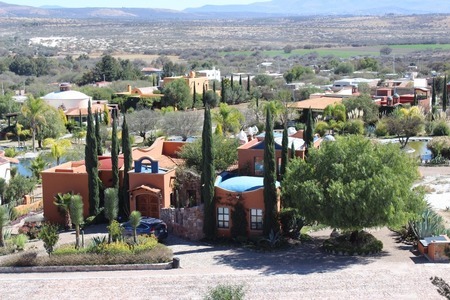 This is a beautiful single-story house in the Savilas section of gated community of Rancho Los Labradores. The peaceful country setting provides a calming retreat from the bustling city. 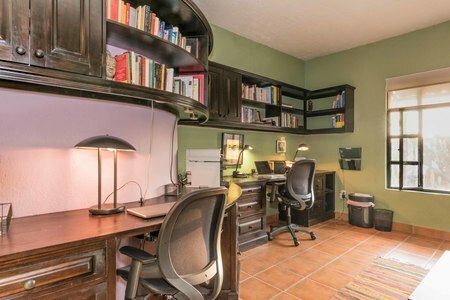 On one level this house features a large master bedroom suite and a private guestroom suite as well as a studio/office that can work as a third bedroom. 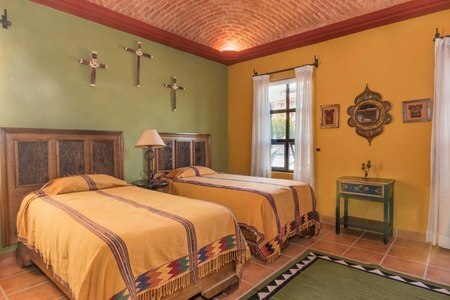 The home is located just a few steps from the main Rancho Los Labradores amenities such as The Club House, Cielito Lindo, Hotel, El Cafe and the pools and tennis court. 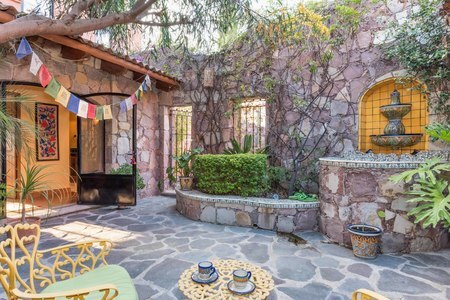 It is a Mexican colonial style design featuring a central patio which has a beautiful fountain, mature plantings, and provides exceptional lighting to the interior of the home. 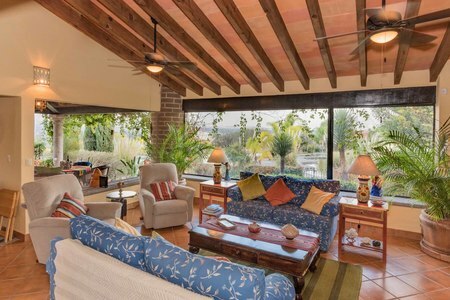 The living room has a beautiful view to the south of the common area ponds and to the mountain to the east of where you can contemplate the sunrise. 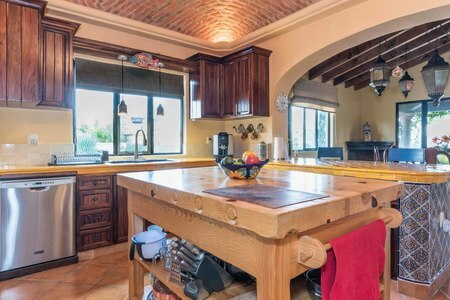 The kitchen has wooden finishes combined with talavera tile and a large working island perfect for kitchen lovers. 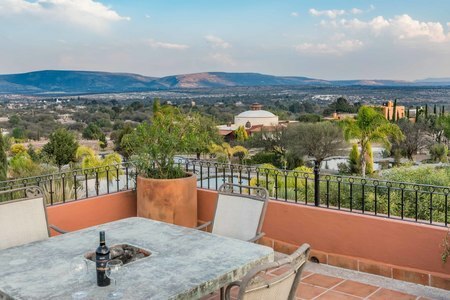 Enjoy your coffee watching the sunrise and a glass a wine for sunsets from the lovely rooftop patio with magnificent views of the mountains and lights of San Miguel. En un solo nivel esta casa cuenta con dos amplias recamaras con su propio baño y una oficina que puede funcionar como una tercer recamara en su caso. 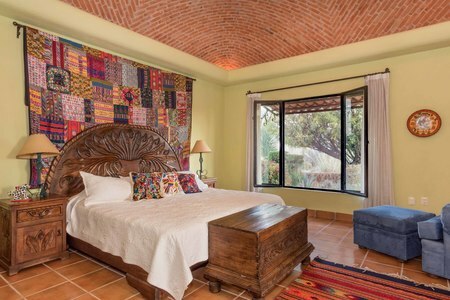 Se encuentra ubicada a solo unos pasos de la Casa Club, Cielito Lindo, Hotel, Café y demás áreas de esparcimiento que ofrece el residencial campestre Rancho los Labradores. 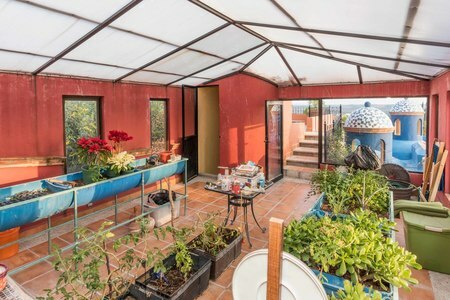 La terraza superior con una estupenda vista de San Miguel y las montañas, es perfecta para disfrutar un café viendo el asombroso amanecer o una rica copa de vino despidiendo al sol.